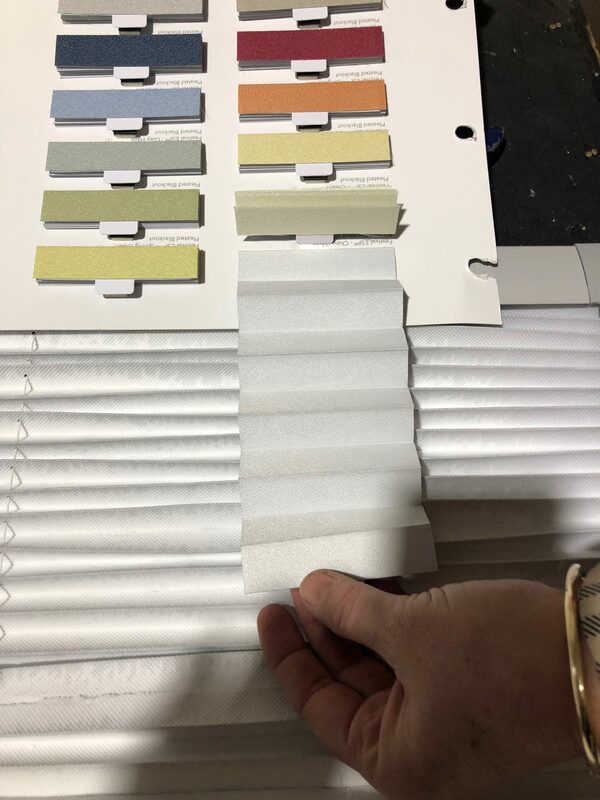 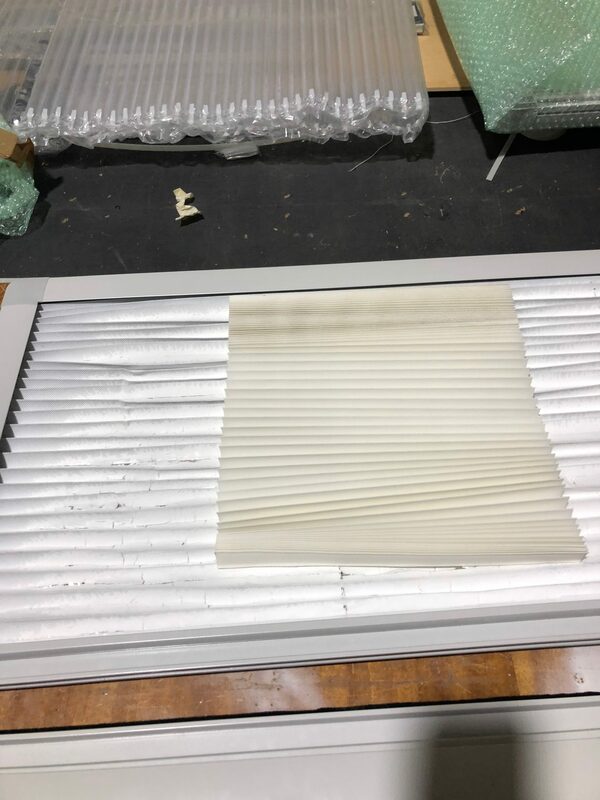 We are getting asked on a regular basis to help with repair of caravan blinds that were manufactured by NCE or equivalent, these have a pleated fabric with a silver backing and a fly screen fabric linked in a dual control. 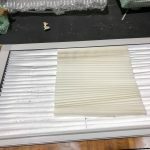 Yes we can repair them, both the fly screen and the pleated fabric, new fabric for the pleated and re-string the flyscreen. 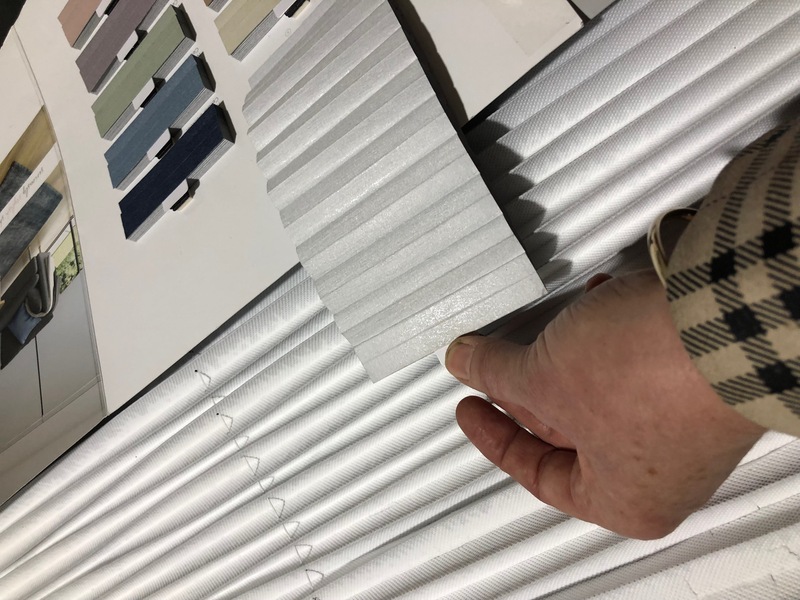 We can replace the pleated fabric with new fabric from the Louvolite range. 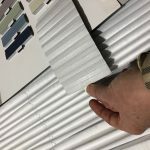 There is a very large range of fabric available including translucent and blockout fabrics. 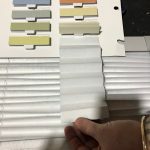 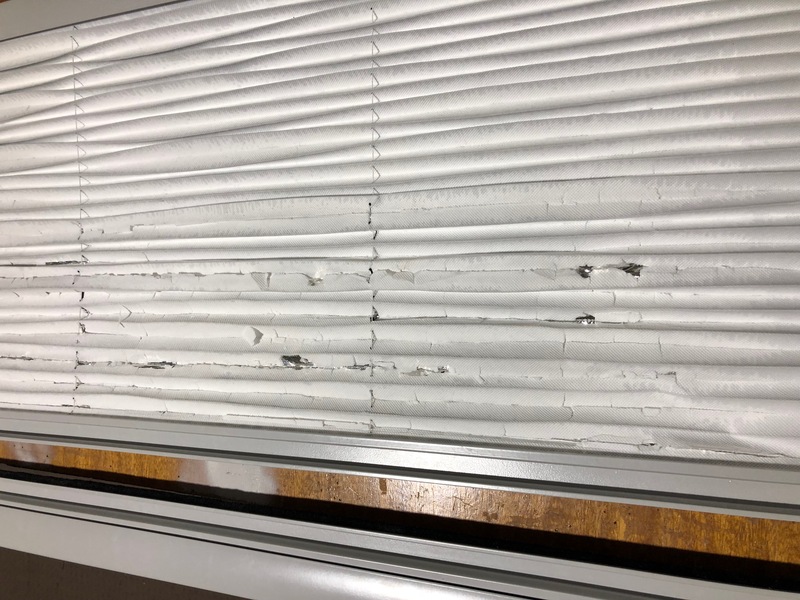 We are seeing caravan blinds come in with the pleated fabric completely delaminating from the original silver backing of the blind. 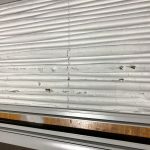 For us to do the caravan blind repair you will require to send the complete system to our work shop, if you want to repair it yourself, we can send you the pleated fabric to suite, but you will need to measure the fabric you require after the system has been pulled apart.